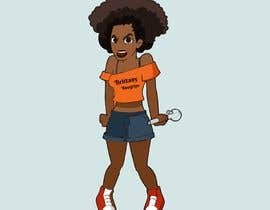 I am looking for someone to make the cartoon logo for Brittany Bongrips. I AM LOOKING FOR THE SAME STYLE AS WEEDWOOKIE. WEEDWOOKIE IS ANOTHER BRAND RUN UNDER THE SAME UMBRELLA. BONGRIP BRITTANY WILL BE HER OWN ACCOUNT. Hi are you still accepting designs or closing the contest?